One of the most bizarre disputes in the history of international relations may be coming to an end. Greece and FYR Macedonia have reached an agreement on the name dispute. This opens the door for the membership of the latter to the EUand NATO. Since the neighbouring State declared its independence in 1991 as Republic of Macedonia, Greece was demanding this name to be changed. The main reason being the fear that it points to an irredentist/territorial claim over the Greek geographical department with the same name (Macedonia). Such fear was grossly exaggerated and largely unjustified. But given the history of the Balkans, the recent changes in the borders and the war in Yugoslavia, it was not totally unfounded. Greecespent the first years of the 90s in a nationalist fervour with huge demonstrations and a 19-month trade embargo against the newly founded State. It only lifted the embargo when its neighbouring State changed its first flag. Greeceand FYR Macedonia eventually formalised bilateral relations in an Interim Accord in September 1995. Most unusually, the agreement did not use the names of either party. Greece, ‘the Party of the First Part’, recognised FYR Macedonia under the term ‘the Party of the Second Part’. Since then, the countries continued negotiating on finding a 'compound' name with a geographical description. Meanwhile, the newly founded Statejoined a number of international organisations as Former Yugoslav Republic of Macedonia. In 2008, according to the then Prime Minister Kostas Karamanlis, Greece blocked FYR Macedonia's bid for NATO membership. In 2011, the ICJ found that this veto was a violation of the Interim Accord raising serious questions over the overall negotiation strategy of Greece. The agreement that was announced yesterday by the two Prime Ministers marks the first important breakthrough to this stalemate. However, it is far from a done deal. The agreement will only be operative when the Parliaments of both States ratify it and follow through all the necessary legislative and constitutional amendments. In fact, Greece will be closely monitoring how NorthMacedonia applies the agreement and will be able to block its EU accession progress if it is not satisfied. More importantly, the opposition parties in both States and the junior partner of the Syriza-led Greek government have already expressed their severe reservations with regard to the deal. In particular, they are concerned with the facts that the citizens of the neighbouring country will be called Macedonians/citizens of the Republic of North Macedonia and that their language will be recognised as Macedonian with the clarification that it belongs to the family of the Slavic languages. With regard to the citizenship, it should be noted that such characterisation allows Greece to draw a distinction between its own citizens that inhabit the Greek geographical department of Macedonia and the citizens of the neighbouring State. At the same time, it takes into account the sensitivities of the multinational nature of the neighbouring State. Concerning the language, it is worth pointing out that it has been recognised as Macedonian in a number of UN documents since the 1970s. At the same time, the vast majority of the inhabitants of Greek Macedonia speak Greek. In that sense, there is not much scope for confusion, misunderstandings or even nationalist propaganda and ethnic outbidding. Having said that, the political volatility that characterises the Greek and Macedonian political systems might mean that by the time the national parliaments are asked to ratify the deal, there might not be the necessary majorities in either of the two legislatures. Still, this agreement is a positive start. This is more than one could have hoped for many years. 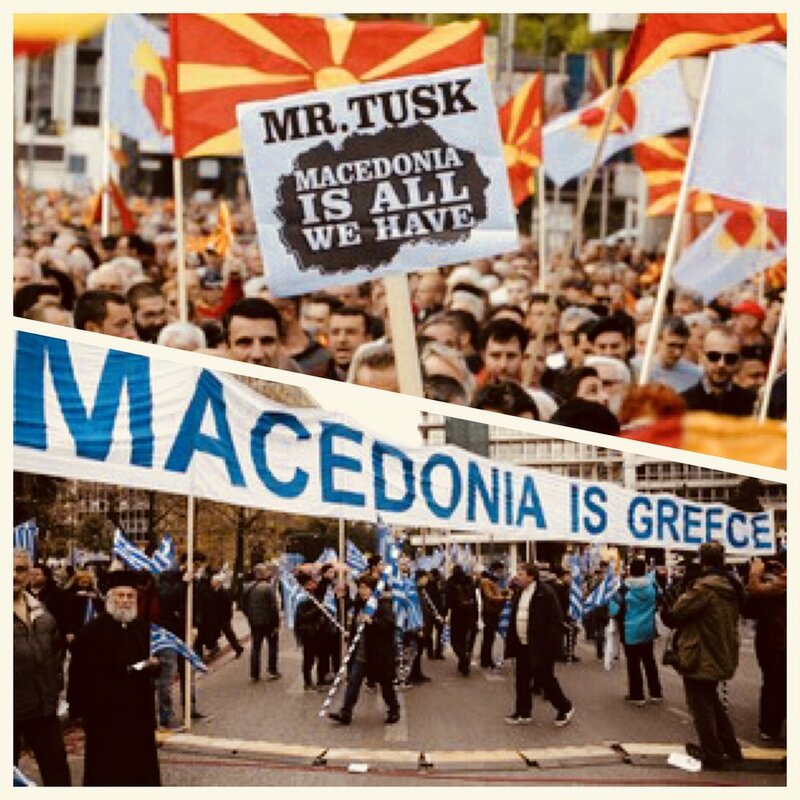 With the consent of Greece, Severna Makedonija (North Macedonia)might be able to join NATO and the EU in the not too distant future and manage to consolidate its fragile Statehood. This article was first published on MacroPolis on 14 June 2018.